Empower Schools’ work, and more importantly the work of teachers and school leaders in Empowerment Zones have been well documented by other organizations. Below is a selection of publications that highlight Empower Schools’ work or the Empowerment Zone strategy. 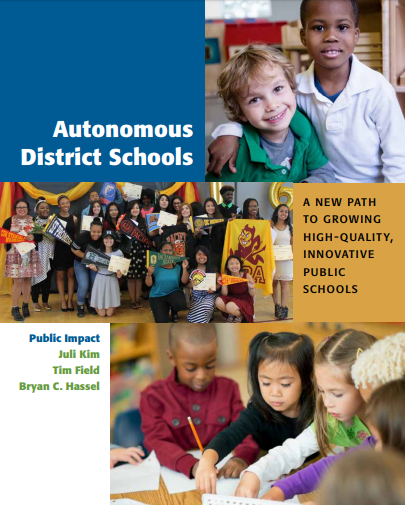 In early 2015, a group of principals from Denver Public Schools approached the Gates Family Foundation for technical and strategic guidance in their quest to gain more autonomy over decision-making, finances, and operation of their innovation schools. The Foundation had long been a supporter of independent charter schools as a strategy for improving student outcomes, but hadn’t invested significantly in district schools. Recognizing the opportunity for the Foundation and others to learn from the process of exploring new models for governance and investment, Senior Vice President for Education Mary Seawell asked Colorado-based journalist Alan Gottlieb to cover, in real time, the unfolding events that are chronicled in this case study. 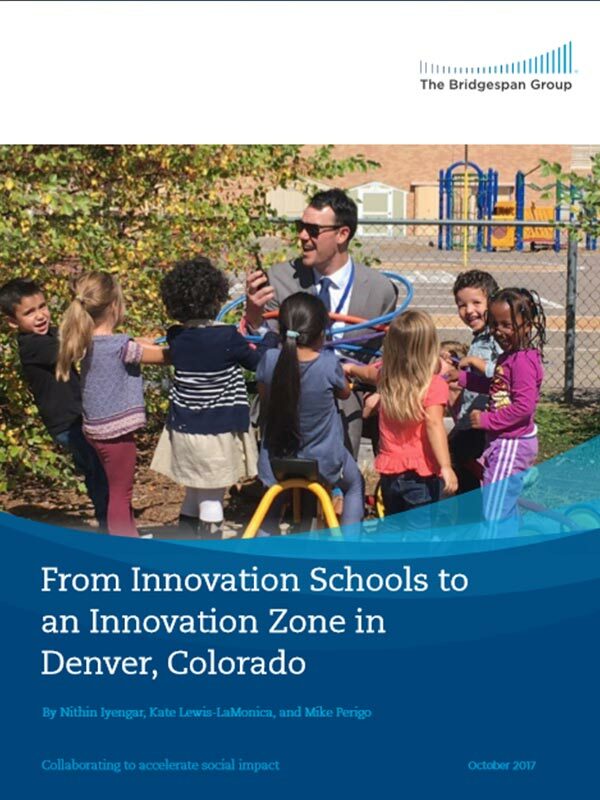 Colorado’s first independently run innovation zone of public schools was born on April 28, 2016 , when the Denver Public Schools (DPS) board of education gave its unanimous blessing to the creation of a unique network of district schools empowered to operate with many of the freedoms normally reserved for charter schools. The road to establishing the Luminary Learning Network (LLN) was not always smooth, and the process required significant give and take between the LLN and DPS – a district already known nationally for its efforts to ensure families and students have access to a robust array of public school choices. 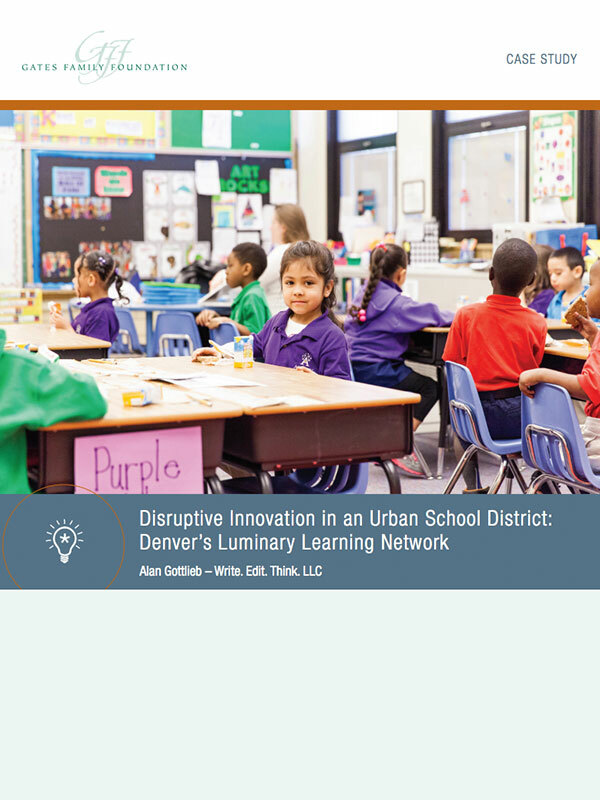 Over the past decade, DPS had moved toward a “portfolio model,” ceding a growing proportion of its school management to charter school networks, and allowing an increasing number of district schools to gain autonomies through innovation status. This article is part of a Bridgespan Group research project that focuses on exploring the design features of “Innovation Zones” around the country including efforts in Springfield and in Denver where Empower served as a design and launch partner. The Springfield Empowerment Zone Partnership, formed in 2014, demonstrates a collaborative approach to turning around low-performing schools. The state, the Springfield Public Schools (SPS), and the teachers union formed a voluntary partnership that aims to dramatically improve outcomes in a cluster of the district’s middle schools. Read the full report from Bridgespan here. The Denver Pubic Schools (DPS) approved creation of the Luminary Learning Network (LLN), the district’s first innovation zone, to build on past progress rather than to catalyze a turnaround effort. Previously, the district had designated the four elementary schools that make up the network as innovation schools, and each improved student outcomes under that designation. Nonetheless, leaders of the four schools requested innovation zone status to gain increased autonomy to tailor instruction to each school’s needs. “If you want something you’ve never had, you have to do something you’ve never done,” said Susana Cordova, then-acting superintendent of DPS. 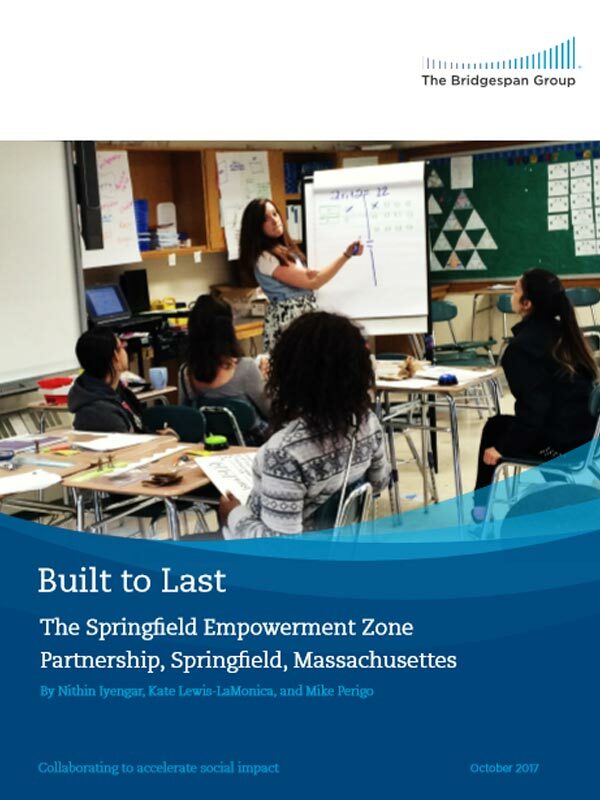 The Springfield Empowerment Zone Partnership, released in January 2017 by the Progressive Policy Institute, provides an in depth look at the innovative solution that Empower Schools helped forge with Springfield Public Schools, the Springfield Education Association, and the MA Department of Elementary and Secondary Education. In this report leading government management improvement strategist Eric Schnurer takes a look at the context in which the SEZP was conceived and developed, the core principles and strategies that it operates with, and the initial impact it is having on school leaders, teachers, and district leadership. In the conclusion, Schnurer states that “the importance of the Springfield model comes down, ultimately, to whether other SPS schools and other districts will embrace it.” We agree and are hopeful that with the recent introduction of enabling legislation in MA we will see an increasing number of districts using the SEZP model and theory of action in the coming years. Proponents, in fact, see Springfield’s experiment as neither watered-down charters nor charterized public schools, but rather as a “Third Way” that tries to capture the best of both worlds. In the Springfield model, charter operators and union workforces don’t just coexist but cooperate; neighborhood schools attract innovative leaders and teachers instead of families having to go in search of them elsewhere; and educators working in a traditional district with an elected board and collective bargaining agreements nevertheless enjoy some of the freedoms and responsibilities charters experience. 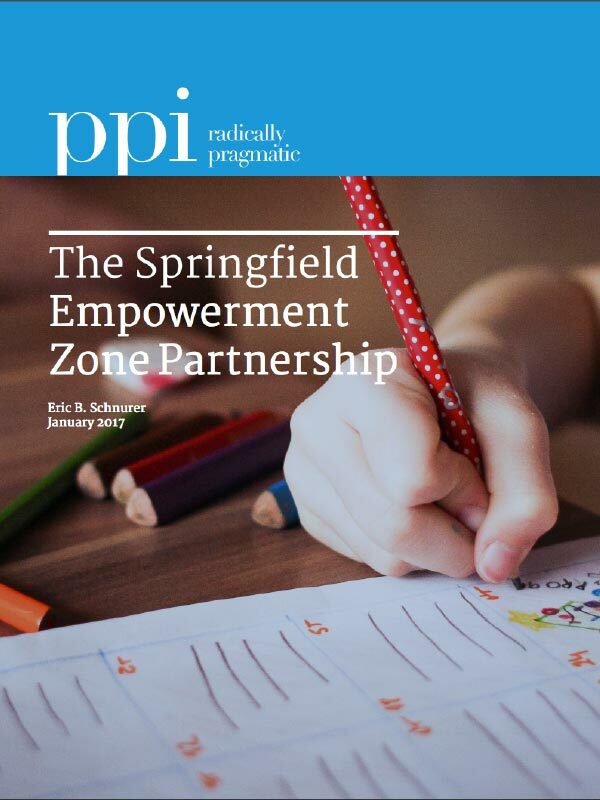 The Springfield Empowerment Zone Partnership and the people involved in its design and initial implementation take center stage in a new paper by Ashley Jochim of The Center on Reinventing Public Education. The case study follows the Nov 2016 release of Measures of Last Resort: Assessing Strategies for State-Initiated Turnarounds, a paper on the various approaches that states are using to improve underperforming schools. 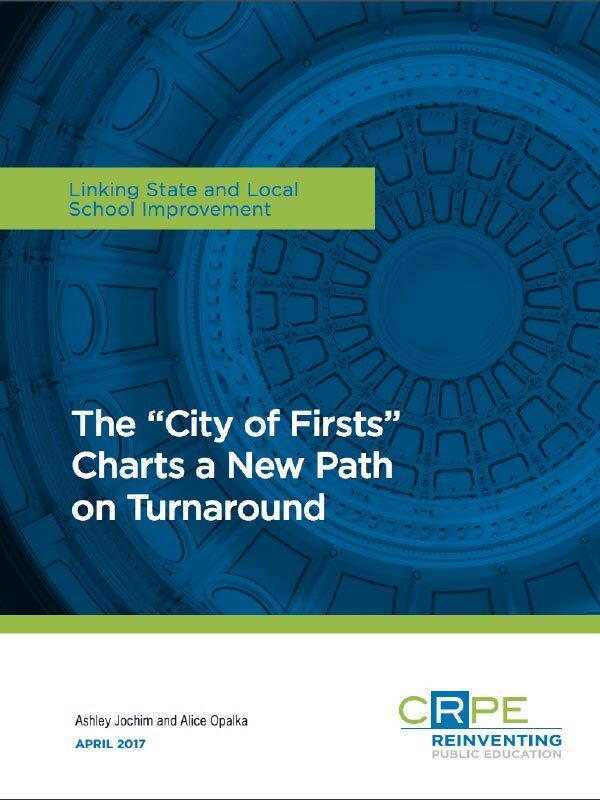 One of the takeaways from this paper was that in order for states to get the best results in their turnaround efforts, multiple approaches should be tried in a coordinated, strategic way. Springfield Public Schools is one such example of a district using a ‘portfolio’ of turnaround approaches. The Springfield Empowerment Zone Partnership operates alongside other Springfield turnaround efforts and is narrowly tailored to a specific challenge facing the district. We continue to learn from the work taking place in Springfield and are excited to see what the future holds.